Our range of products include diamond indenter. We Supply diamond Indentor for Checking Rockwell “C” Scale, Rockwell Superficial “N” Scale, and Vickers “HV” Scale. 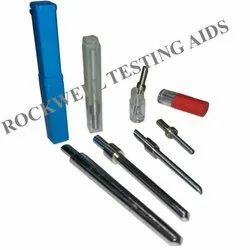 These Indentors are also used in Portable Hardness Tester.